March of the Penguin!! Gotham S2 Ep.7 Recap!! Sora locks it up with Link!! 1 Minute Melee!! 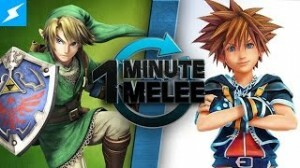 Will Sora’s skills be the key to victory or can Link master the sword and emerge triumphantly?! Two Fighters!! No Research!! 60 Seconds!! It’s time for MELEE! !